John Corbett was by far the largest producer of salt in Britain. John Corbett (1817 – 1901) was born to Joseph Corbett, a Shropshire farmer. Joseph Corbett relocated to Birmingham, where he established a successful canal freight business. John Corbett left school at the age of ten, and began to drive one of his father’s canal boats. He was eventually promoted to canal boat captain. During this period Corbett observed that salt was one of the major freight goods. In his spare time, as well as on canal boats, Corbett would read mechanical books, with the aim of becoming an engineer. He served a five year apprenticeship at the Leys Ironworks in Stourbridge from 1840. John Corbett was taken into partnership by his father in 1846. However, with increased competition from the railways, the firm was sold to the Grand Junction Canal Company in 1849. John Corbett went to work at the Stoke Prior Salt Works near Droitwich. He began as an engine driver, before working as an outrider, and finally as a cashier. Corbett was learning the salt business at all levels. Corbett acquired the lease of the Stoke Prior Salt Works in 1852. The works had an annual production of 26,000 tons. Two successive companies had failed to make a success of business. Corbett studied the previous failures and endeavoured to make a success of it. The Stoke Prior Salt Works produced salt from springwater. Underground springs passed through a salt bed, which gave the water a salt content of 38.4 percent, according to an 1886 study, a higher level than even the Dead Sea. Corbett used his engineering ability to introduce improved salt refining techniques. Identifying distribution as the most profitable area of the salt industry, he acquired his own canal boats, and later trains, to transport his product. To increase export sales he established agents overseas. Corbett also hired the best people he could afford, and looked after his employees. He was a model employer, and built a village for his workers including a school, church and social clubs. Corbett was also a dedicated philanthropist, establishing a 40 bed hospital in Stourbridge, as well as gifting Salters Hall to Droitwich. Throughout his career, Corbett remained a hands-on proprietor, deeply engaged in the management of his business. He was an incredibly keen businessman, and a hard worker, beginning his working day at 6am, and often sleeping above his work offices. By character Corbett was a quiet, likeable man. He was thoughtful, intelligent and interested in the arts and travel. Despite his immense wealth he lived a plain life, and drank in moderation. 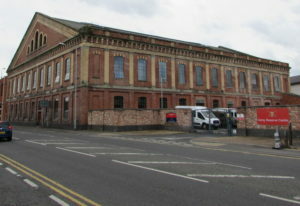 Corbett was the largest salt manufacturer in Worcestershire by 1879. Salt was the largest manufacture by tonnage in Britain after coal and iron in 1879. Between one and two million tons were produced each year, and thousands of people were employed in the industry. Corbett was producing 200,000 to 300,000 tons of salt every year by 1886. The works covered around 30 acres. High quality table salt was the main product, sold under the “Black Horse” brand. Men were limited to an eight hour day, and women to seven. Corbett paid his workers a premium of around 15 percent against the industry average. In his entire career, Corbett never suffered a strike that lasted 48 hours or more. According to an industry estimate, John Corbett held nearly 50 percent of the British salt producing industry by 1888 and the Stoke Prior Salt Works was the most valuable enterprise of its kind in Britain. The Salt Union Ltd was formed in 1888 as a merger of various salt interests across the country, including the Stoke Prior Salt Works, which were acquired at the cost of £660,000. Salt Union had a capital of £3 million and produced two million tons of salt every year. Corbett became deputy chairman, a managing director, and by far the largest shareholder in the concern. The Salt Union was immediately accused of attempting to rig the market and raise prices. It was alleged in The Standard that salt prices to the strategically important alkali industry had increased by 80 percent. As a consequence of the price increase, exports slumped by 20 percent, and many people were put out of work. Corbett initially defended the company, arguing that producers had been operating at an unsustainable loss for a considerable period of time, and that the price adjustment merely reflected a correction of the market. Corbett was to regret joining the Salt Union. After selling out to the company, he realised that it had entered into a number of imprudent contracts. The company had a lack of focus and direction, and his recommendations for the business were ignored. As a result, Corbett resigned his post as deputy chairman and managing director in 1890. The Salt Union rapidly lost market share. Its attempt to exploit its monopoly position simply allowed its competitors to undercut it. Furthermore, an improved table salt was introduced by rival Cerebos in 1894. 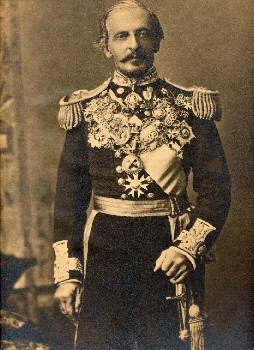 Corbett died in 1901. His gross estate was valued at £412,972. An obituary in the Daily Telegraph heralded him as the “Salt King”. The Salt Union was acquired by ICI in 1937. The works closed in 1972 due to cheaper foreign imports. 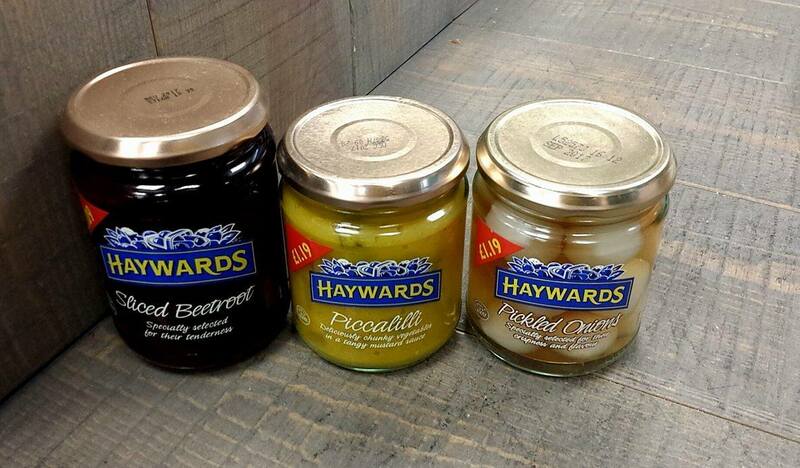 Hayward’s is the leading pickled vegetable brand in Britain. Robert Hayward (born 1847) was born in Lambeth, London. He was a dedicated Baptist. Hayward established his pickle manufacturing business at Montford Place, Kennington, in 1869. He initially distributed his wares with a single horse and cart. Hayward Brothers was established in 1880 when Robert was joined by his brother Henry (1852 – 1925). Three men and five boys were employed at the firm by 1881. Two nephews of Robert Hayward; George Charles Hayward (died 1931) and Joseph Robert Hayward (1870 – 1933), established a subsidiary at Christchurch, New Zealand in 1890. They sold pickles and sauces under the Flag Brand name. By 1896 it was the largest pickle company in New Zealand with over 50 employees, and exports had commenced to Australia. Factory floor space covered 21,000 square feet by 1903. Hayward Brothers operated the largest malt vinegar brewery in New Zealand by 1908. A large three storey storehouse on Bowden Street, Kennington, was destroyed by fire in 1895. Hayward Brothers was incorporated as a limited company in 1898. The Kennington factory was extended in 1907. 200,000 bottles of Haywards Military Pickle were sold in London in 1905. By this time it was the company’s leading product line. 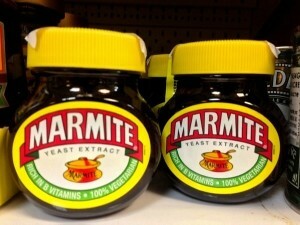 By 1911 it was the highest selling pickle in Britain. In 1914 Robert Hayward was chairman, and his fellow directors were his brother Henry Hayward, and his two sons, George Joy Hayward (1873 – 1953) and Frank Tresidder Hayward (1876 – 1960). When Henry Hayward died in 1925 he left an estate valued at £28,719. A V-1 flying bomb caused significant damage to the factory in 1944. George J Hayward died in 1953 with an estate valued at £16,384. Edward Manwaring Ltd acquired the Haywards pickles trademark in 1956. They relocated production to their factory on the Bird in Bush Road, London. The Montford Place factory became the production site for Beefeater London Dry Gin in 1958. Hayward’s Food Products was acquired by the Melbray Group for £473,000 in 1963. The Manwaring family remained the largest shareholders. In 1964 Melbray acquired Harry Peck & Co, a canned meat concern, and merged it with Haywards to form Hayward-Peck. Peck’s products were canned tongue, and meat and fish pastes, including own-label produce for Harrod’s. Hayward-Peck had been mainly based in the South East of England, but a national distribution network was established from 1964. Hayward Peck was sold to Brooke Bond-Oxo for £1.5 million in 1970. A new pickle factory was opened at Bury St Edmunds in 1978. The company employed 150 people by 1989. Haywards Pickles was sold to Hillsdown Holdings (later Premier Foods) in 1989 for an undisclosed price. Haywards was the market leader in the sour pickle market, with a 14 percent share and an annual turnover of around £10 million. Hayward’s main products were sweet, sour and mixed pickles in 1996. The company employed 120 people and had an annual turnover of around £10 million. Haywards sweet Military Pickle was still available as late as 1997, but has since been discontinued. 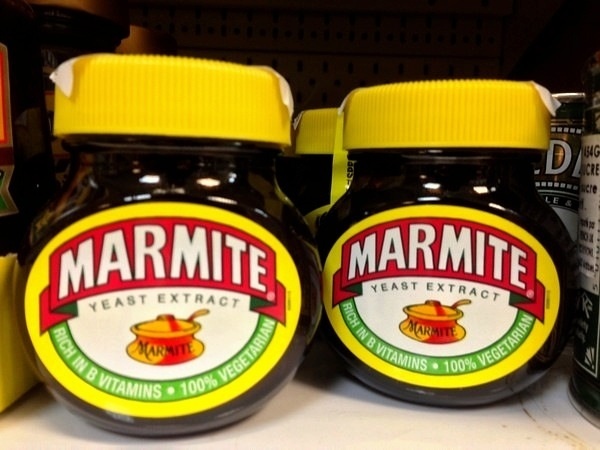 Premier Foods sold its vinegar and sour pickles business, including Hayward’s, to Mizkan of Japan for £41 million in 2012. As of 2016, Haywards vegetables in vinegar are produced at Middleton, Manchester, and Hayward’s pickles are manufactured at Bury St Edmunds. Edward Manwaring (1842 – 1884) was born in Burwash, Sussex, the son of an innkeeper. He served an apprenticeship with a grocer who dealt in imported foodstuffs. Manwaring established his own pickles business on Old Kent Road, London in May 1863. He was aided by a £100 loan from the Samuel Wilson Trust. By 1871 he employed eight men and five boys in Camberwell. Edward Manwaring (1866 – 1931) was born in Camberwell, London. Following the death of his father in 1884 he took over the business. Edward Manwaring was chairman and managing director of the company until his death in 1931. His estate was valued at £51,431. Edward Manwaring Limited acquired the Haywards pickles brand in 1956. The company renamed itself Haywards Food Products. The business was managed by great grandsons of the founder, Edward and Stuart Wade, by the 1960s. Haywards Food Products was acquired by Melbray Food Group in 1963 for £450,000. Geo Watkins is the only remaining national producer of mushroom ketchup in Britain. George Watkins founded his grocery business in 1830. The Watkins family were Quakers. A George William Watkins is described as an oilman/Italian warehouseman of 308 Oxford Street, London in 1843. The firm of George Watkins was based at Kentish Town by 1850. The grocers and Italian warehousemen partnership of George Watkins, Alfred Robinson and George William Watkins of 4 Portland Place, St John’s Wood, was dissolved in 1857. The firm was best known for its Winchester Sauce in the 1860s. The firm was based at 116 Bayham Street, Camden Town by 1867. Crosse & Blackwell distributed the firm’s products in export markets by 1870. Digestive Relish, a pickle, was their best known product from the 1870s. Digestive Relish was still being advertised as late as 1923. Presumably, the firm entered into receivership around 1923, in what was a difficult time for food manufacturers. G Costa & Co of Aylesford, Kent, best known for Blue Dragon oriental sauces, relaunched the Geo Watkins brand in 1985, as a range of traditional English sauces. A Geo Watkins piccalilli was available until 1996. A Geo Watkins brown sauce was discontinued in the 2000s. G Costa was acquired by Associated British Foods, owner of Patak’s and Levi Roots ethnic sauces, in 2003. Two products are manufactured under the Geo Watkins brand as of 2016; mushroom ketchup and anchovy sauce. Keen & Co was perhaps the largest mustard manufacturer in the world before it was overtaken by Colman’s in the 1860s. Thomas Keen established a mustard factory at Garlick Hill in the City of London in 1742. Keen & Co was the first commercial producer of mustard powder in the capital (the main production centres at the time being Durham and Tewkesbury). Mustard became an increasingly popular condiment throughout the eighteenth century. The business traded as Sutton, Keen & Smith by 1794. The entire factory was destroyed by fire in 1806. The business traded as Keen, Son & Co by 1818. A Joseph Teale exited the business in 1824, leaving John Keen, John Henry Keen and James Keen (1780 – 1849) as partners. John Keen retired in 1828, leaving Thomas (1800 – 1862) and James Keen as sole partners. The business was known as Keens & Welch by 1841. James Keen left the partnership in 1849, leaving Thomas Keen and John Welch (1805 – 1856). Thomas Keen was a wealthy man by 1851; he kept nine servants in his household. Thomas Keen died in 1862, and Thomas Keen & Son was merged with Robinson & Bellville of Holborn, manufacturers of patent barley. The merged firm traded as Keen Robinson Bellville & Co.
Keen’s mustard was described as “world famous” in the Morning Post in 1868. William John Bellville (1829 – 1891) was sole proprietor of the firm by 1876. Keen operated the largest mustard factory in London by 1881, and it was supposedly the oldest mustard factory in the world. Additional factory premises were acquired at Denmark Street, London, in the 1880s. William John Bellville died in 1891 with an estate valued at £638,000. The firm was inherited by his wife, Emma Bellville (born 1847). The Garlick Hill premises was said to the oldest factory in the City of London by 1892. It spanned five floors. Most mustard seed was grown in the East of England, although some was imported from the Netherlands. There were extensive granaries in Wisbech, Cambridgeshire and Boston, Lincolnshire. The firm employed over 1,000 people, and was notable for not employing women, except for sack mending. The firm became a registered company from 1893 and changed its name to Keen Robinson. It had capital of £300,000. Keen Robinson was acquired by J & J Colman of Norwich, a rival mustard manufacturer, in 1903. Frank Ashton Bellville (1870 – 1937) joined the Colman’s board of directors. It appears that Keen’s mustard marketing was withdrawn immediately following the merger, in favour of the Colman’s brand. Emma Bellville and her son, William John Bellville (1868 – 1937) had thirteen servants between them at their home at Stoughton Grange, Leicester by 1911. Manufacturing was centralised at the Carrow Works in Norwich, the site of Colman’s production, from 1925. The two brothers and heirs to the Keen Robinson fortune both died in 1937. Frank Ashton Bellville left an estate valued at £394,397, and William John Bellville left an estate valued at £393,709. 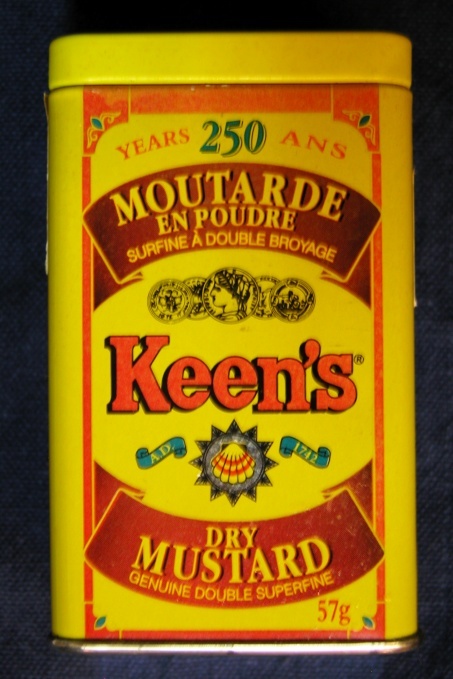 The Keen’s mustard brand appears to have been phased out in Britain after 1945. Colman was sold to Unilever in 1995. The Australian rights to the Keen’s brand, where it remains popular, were acquired by McCormick & Co in 1998. 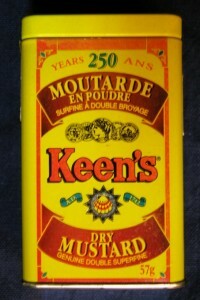 Unilever still produce Keen’s mustard for the Canadian market.